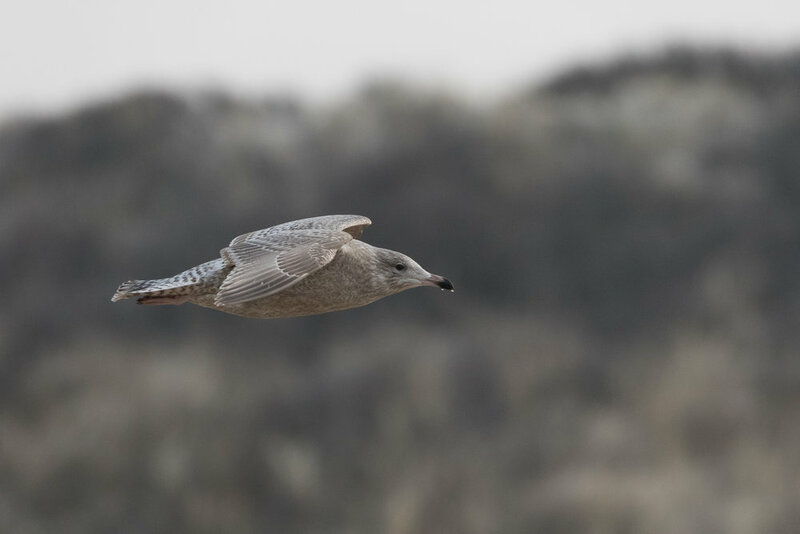 Today I rediscovered a Viking Gull — a hybrid between a Glaucous and Herring Gull — I had in hindsight seen a few days earlier, but then didn't manage to identify it properly, because of bad weather conditions. With all the pure white-wingers present in the past weeks for comparison, this is a totally different bird, with plumage and structure characteristics clearly fitting both species. What a monster! Viking Gull (Larus argentatus x L. hyperboreus). Look at those beautifully marked feathers!